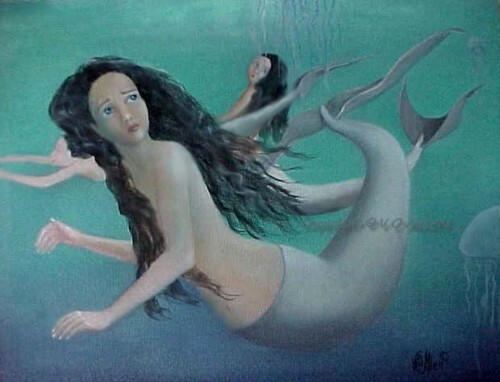 Vivian , you have a wonderful series of mermaids created ! I love them ! Beautiful! I really love the colors in this one! Her dark, wavy hair really sets it off! This is breathtaking! I am so glad you commented on my art so I could come and return the favor and see what you've done. Wow! You are set in my favorites now! Thank you.